Professor Pau Cuyàs, graduated in Design and with a Master’s degree in Film and Audiovisual Contemporary. 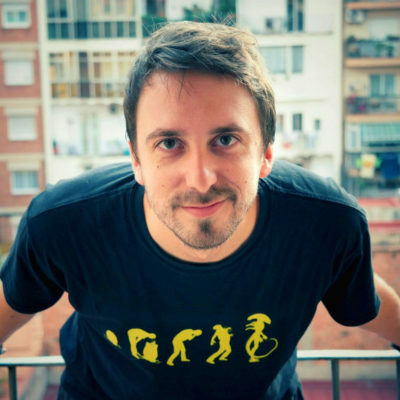 Specialized in digital design and culture, he teaches at ESDi, UOC and Art Schools of the Generalitat. It focuses its activity on the frontiers between design, art, sociology, economics and entertainment. He also develops his professional activity in the audiovisual production company Deliris and writes for specialized magazines in current art while devouring cookies.